Farrar, Straus and Giroux, 9780374148430, 288pp. André Aciman, hailed as a writer of “fiction at its most supremely interesting” (The New York Review of Books), has written a novel that charts the life of a man named Paul, whose loves remain as consuming and as covetous throughout his adulthood as they were in his adolescence. Whether the setting is southern Italy, where as a boy he has a crush on his parents’ cabinetmaker, or a snowbound campus in New England, where his enduring passion for a girl he’ll meet again and again over the years is punctuated by anonymous encounters with men; whether he’s on a tennis court in Central Park, or on a New York sidewalk in early spring, his attachments are ungraspable, transient, and forever underwritten by raw desire—not for just one person’s body but, inevitably, for someone else’s as well. 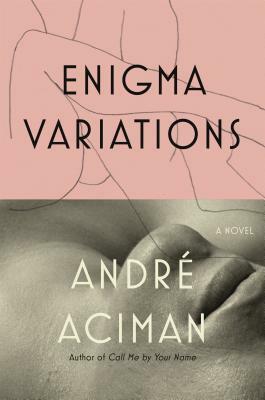 In Enigma Variations, Aciman maps the most inscrutable corners of passion, proving to be an unsparing reader of the human psyche and a master stylist. With language at once lyrical, bare-knuckled, and unabashedly candid, he casts a sensuous, shimmering light over each facet of desire to probe how we ache, want, and waver, and ultimately how we sometimes falter and let go of those who may want to offer only what we crave from them. Ahead of every step Paul takes, his hopes, denials, fears, and regrets are always ready to lay their traps. Yet the dream of love lingers. We may not always know what we want. We may remain enigmas to ourselves and to others. But sooner or later we discover who we’ve always known we were.